Gee, we've been slack at updating our blog to say that Murdoch, Brannavan and Thomasin are all guests at the WORD Christchurch Readers and Writers Festival. 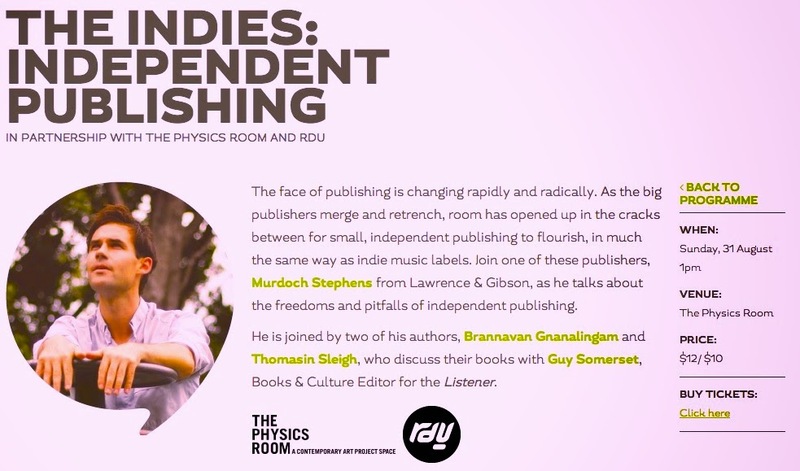 We'll be talking next Sunday at the Physics Room with Guy Somerset at an event called The Indies. Join us or we'll be as sad as.